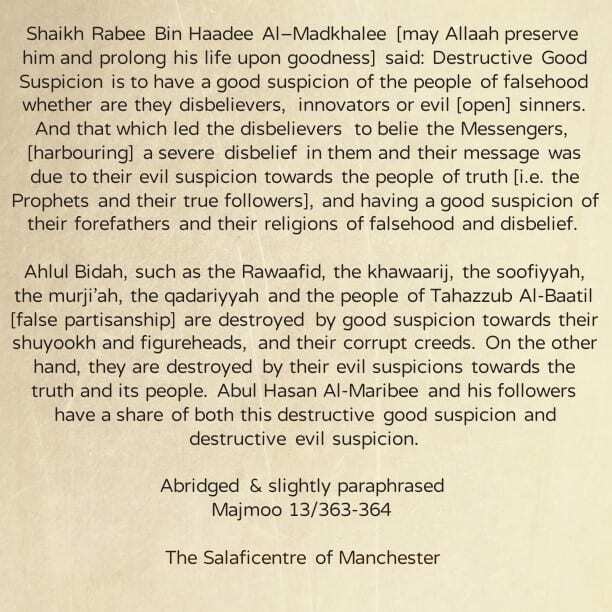 Shaikh Rabee Bin Haadee Al-Madkhalee [may Allaah preserve him and prolong his life upon righteous deeds] said: Destructive Good Suspicion is to have a good suspicion of the people of falsehood whether are they disbelievers, innovators or evil (open) sinners. 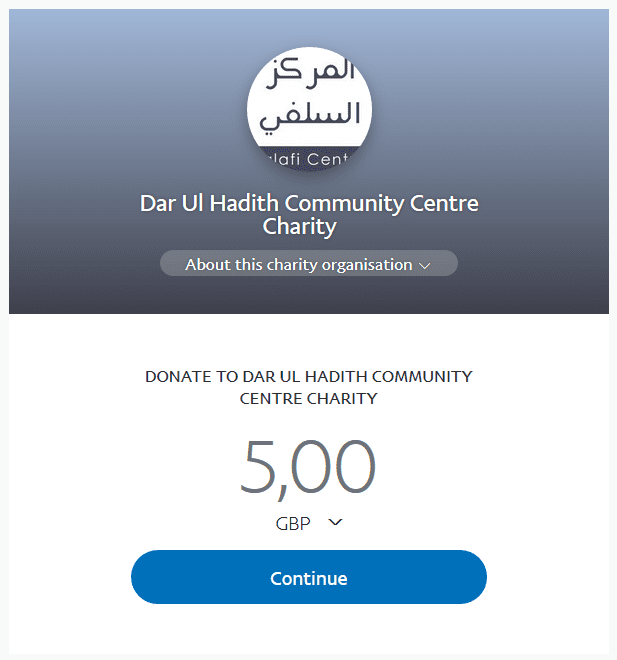 And that which led the disbelievers to belie the Messengers, (harbouring) a severe disbelief in them and their message was due to their evil suspicion towards the people of truth (i.e. the Prophets and their true followers), and having a good suspicion of their forefathers and their religions of falsehood and disbelief. Ahlul Bidah such as the Rawaafid, the khawaarij, the soofiyyah, the murji’ah, the qadariyyah and the people of Tahazzub Al-Baatil [false partisanship] are destroyed by good suspicion towards their shuyookh and figureheads, and their corrupt creeds. On the other hand, they are destroyed by their evil suspicions towards the truth and its people. Abul Hasan Al-Maribee and his followers have a share of both this destructive good suspicion and destructive evil suspicion.